I want to make an observation about the phrase "Minimum Viable Product," coined by Frank Robinson and popularized by Eric Ries. 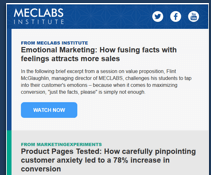 First, let's consider Sean Ammirati's evolution of a "Minimum Awesome Product," which goes a step further than just viable to say that the first experience of the customer should be remarkable, and an excellent first customer experience is essential for viral impact. I would suggest that these two phrases lead to a more profound question: "How do I get something in the market fast that is sufficient?" This is the key. 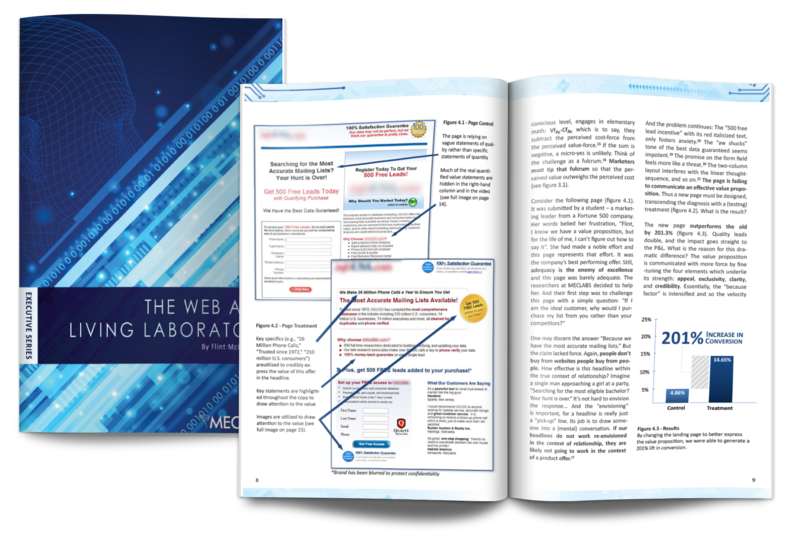 To achieve sufficient, you must get the customer to arrive at a specific set of conclusions: "I want this" and "I can't get this anywhere else." You have to determine the set of neccessaries, the table stakes, to even get into the customer's consideration set. You can learn more about the Optimization Sequence here. To get expert assistance optimizing your product and presentation, I invite you to participate in a Research Partnership. 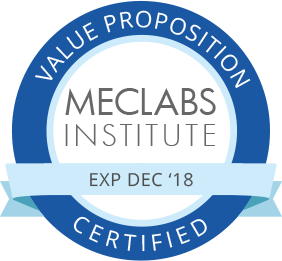 Learn how to identify value – and utilize it in an optimized value prop – based on proven research and discoveries from the MECLABS Institute team.